Keiluweit and his collaborators will test two major effects of climate change on plants — drought and viral infections. To study the impact of drought, they will examine grasses from mountainous ecosystems in Colorado, which have experienced decreasing snowfall attributed to global warming. They will determine what types of organic compounds plant roots release and their effects on microbes and minerals in the soil. To study viruses, researchers will image roots of both non-infected and infected oats, focusing on those infected by barley yellow dwarf virus. Infected roots, which may release more carbon, will cause microbes to light up in the images. Imagine a ball of soil in your hand. It’s not just minerals, said Zoe Cardon at the Marine Biological Laboratory at Woods Hole. It is minerals, microbes, dead bugs, live bugs, bits of leaves etc. When microbes, such as bacteria or fungi, break down these organic materials, nutrients become available to plant roots. In exchange, the plant roots expel carbon. Some of this carbon is vital for plant growth, but an excess of it in the atmosphere forms greenhouse gases and contributes to global warming. 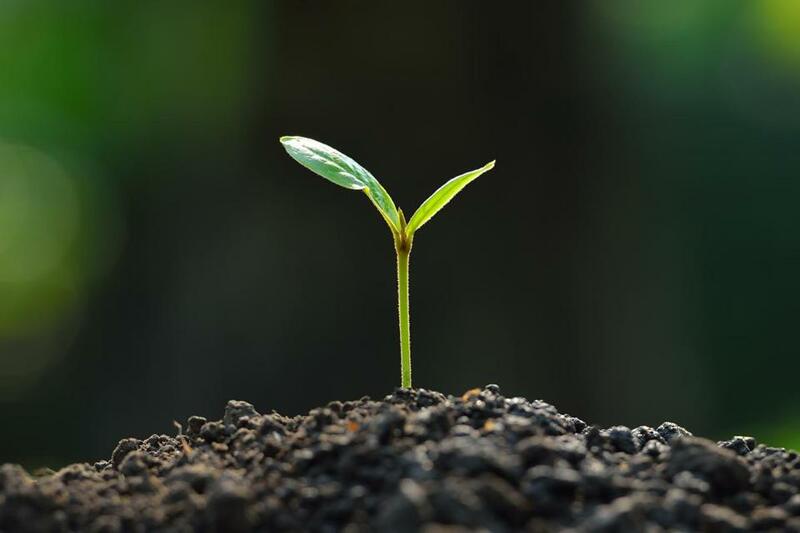 As infected plants leak more carbon into the soil through the roots, they may drive the conversion of stored carbon in the soil to carbon dioxide in the atmosphere. It’s a self-perpetuating feedback loop, Keiluweit said. The warmer the planet, the easier it is for insects to spread viruses more broadly and stunt root growth. Short root systems have a smaller rhizosphere, or the soil surrounding the roots where carbon output and nutrient intake take place. This means plants grow less, store less carbon in the soil, and leave more carbon in the atmosphere. “If you’re trying to control carbon dioxide in the atmosphere, then the longer you can store it down there, the better,” said Cardon, who added that carbon can, in some cases, remain below ground for thousands of years. Although the term “soil quality” might not have the most glamorous ring to it, researchers say it can have an enormous impact on our daily lives, particularly food production. Fertile soil produces better and more food, and reduces the need for large amounts of man-made fertilizer, which can wash downstream, creating dead zones where little can survive. “When we think of ways to live harmoniously on this planet, we have to remember it’s all interconnected — plants, roots, and soil,”Cardon said. Also involved in the study are Malak Tfaily at the University of Arizona, Carolyn Malmstrom at Michigan State University, and William J. Riley at Lawrence Berkeley National Laboratory. The teams have been granted $200,000 and $300,000 exploratory research awards from the US Department of Energy’s Biological and Environmental Research program.